If you’re like most people, having a thorough, fact-filled guidebook helps feed the anticipation of seeing a place you’ve never visited before. 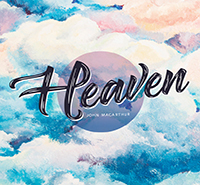 In his classic study Heaven, John MacArthur gives you vivid, biblical details that will build excitement and anticipation for your future home. An encouraging study for all believers—and especially for anyone who has faced, or is facing, the death of a believing loved one.